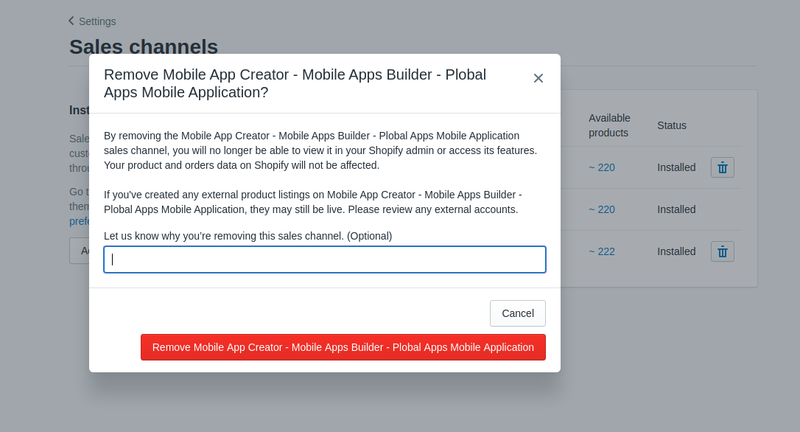 How to uninstall Plobal Apps from Shopify App Store? 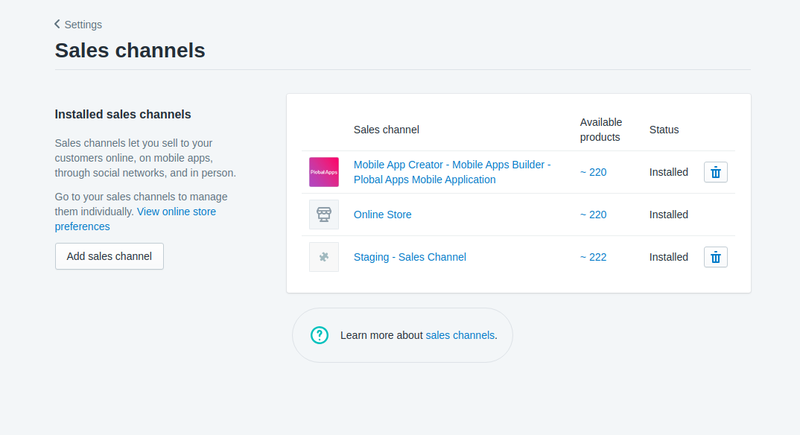 Go to the Shopify Admin Panel. 5. Let us know why you want to uninstall and remove the sales channel.